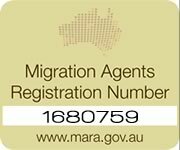 Are you looking immigrate to Australia or emigrate to New Zealand? Apply with tri-nations migration.com and make a difference. Tri-Nations Migration is committed to giving back to the community and making a difference to the environment. As such, we have set up a ground breaking industry initiative to donate a portion of our clients’ fees to the COACH group of children’ homes in South Africa where they care for abused and neglected children and to a worthy environmental cause in your migration destination country. In Australia, we have selected Save the Koala as a much loved species under threat and in New Zealand; we have chosen Save the Hector’s and Maui’s Dolphin which as the world’s smallest dolphin at 1.5m, is an endangered species. 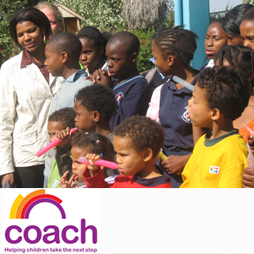 The primary aim of Coach (www.coach.org.za) is to give the children in their care the opportunity to a better life. They are referred by the children’s court and arrive angry, abused, neglected and sometimes with no hope. The caring and professional staff makes it possible for the children to live in a more homely and caring environment so that they get a good start to a promising future. Coach has three residential centres in Johannesburg, two in Sophiatown and one (Life Campus) in Kempton Park. The centres in Sophiatown offer services to children between the ages of 4 and 19. The programme focuses more on therapeutic care as the affected children come from neglected backgrounds. The children lead normal lives as they attend school on a daily basis and are taken care of when they return. The Life Campus programme in Kempton Park offers services to youth between the ages of 16 and 21. The Youth in this programme are either ex street children or children that cannot cope in mainstream school. They are offered a range of skills and training such as Vocational Training, Skills Training and ABET (Adult Basic Education & Training). This enables them to obtain an education so that they can live independently and reintegrate back into society. We have chosen to support the Australian Koala Foundation (www.savethekoala.com) in raising awareness of the plight of the Koala. 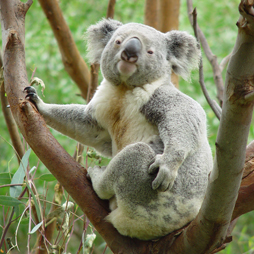 The Foundation has funded approximately AUD $7.5 million on koala research through universities, institutions and in-house research including the Koala Habitat Atlas (having mapped more than 4 million hectares of land), conservation projects and restoration work. Koalas are in serious decline having suffered from the effects of habitat destruction, domestic dog attacks, bush fires and road accidents. The Australian Koala Foundation estimates that there are less than 80,000 koalas left in the wild, possibly as few as 43,000. As such, in 2000 the koala was listed as ‘Threatened’ under the United States Endangered Species Act. This is one category below ‘Endangered’. Hector’s dolphins and their close relative the Maui’s dolphin live only in New Zealand and are both the smallest and rarest marine dolphins on earth. 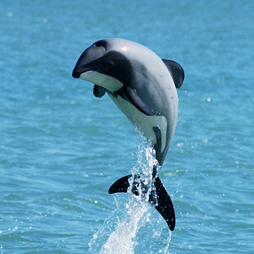 Since the introduction of nylon filament set nets in the 1970’s, Hector’s dolphin numbers have dropped from 30,000 to 7,270. The situation for Maui’s dolphins, a subspecies of Hector’s dolphins, is even worse. More than 94% are already lost. With just 55 survivors older than one year (48-69), less than 20 breeding females, and an annual decline of around three percent, Maui’s dolphins are facing imminent extinction. Hector’s and Maui’s dolphins have declined for more than three decades because their protection is inadequate in terms of the areas and the fishing methods it covers. Recent research, considered by the IWC’s Scientific Committee in June 2012, showed that protected areas are too small to be effective and progress in extending set net and trawl net free areas has been too slow to achieve recovery as part of New Zealand’s national and international obligations. The proposed solution is that no gill nets be used in waters less than 100m deep. If this measure is implemented, Hector’s and Maui’s dolphin populations are predicted to recover. We have chosen to support NABU International Foundation for Nature and their campaign to save the Hector’s and Maui’s dolphins (www.hectorsdolphins.com) supported by New Zealander; William Trubridge. He is the current freedive world champion and NABU’s dedicated Hector’s and Maui’s dolphins Ambassador. The Facebook link is https://www.facebook.com/groups/hectorsandmauissos/ . With tri-migration.com choosing to make a donation to this campaign on your behalf, you will help keep the Hector’s and Maui’s dolphins alive. 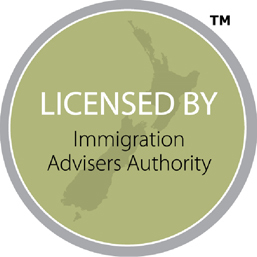 If you are looking to immigrate to Australia or immigrate to New Zealand, contact us.